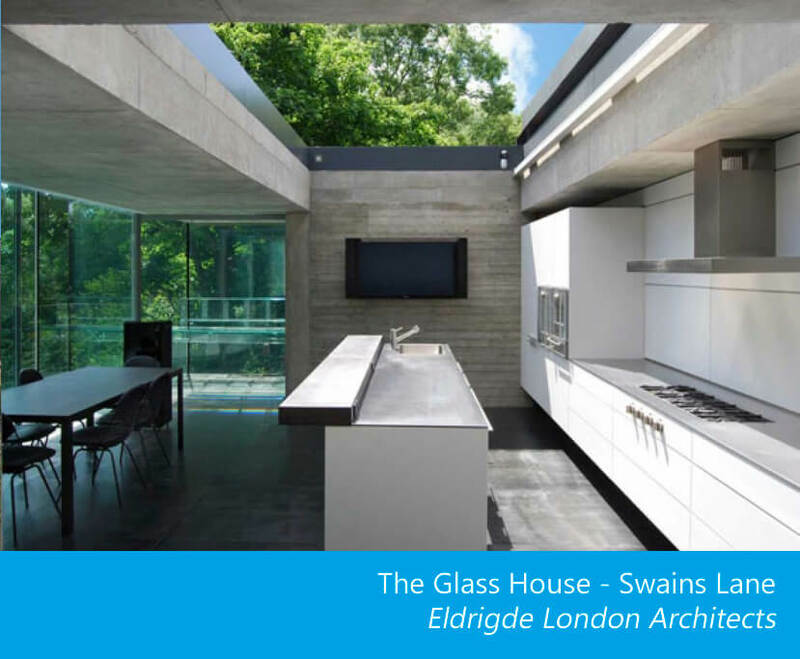 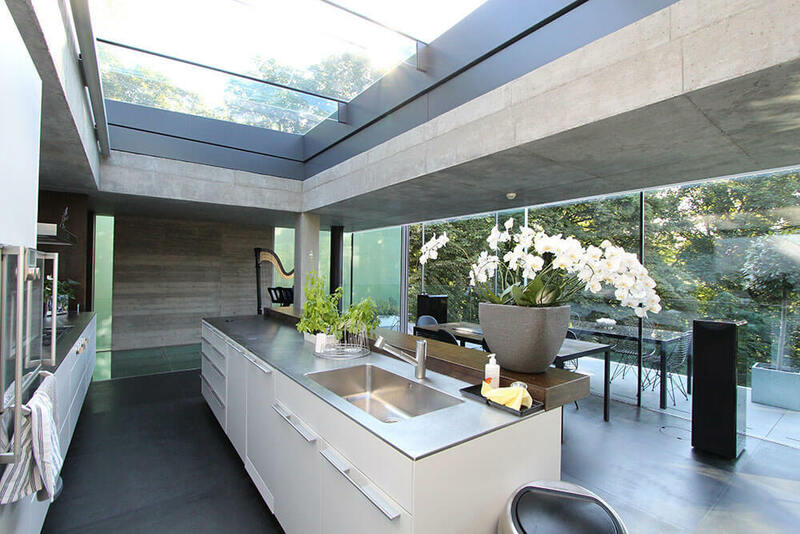 The top floor kitchen of the Glass house features a Glazing Vision opening rooflight on a flat roof to ensure maximum daylight and ventilation, whilst adding to the minimalist nature of the building design. 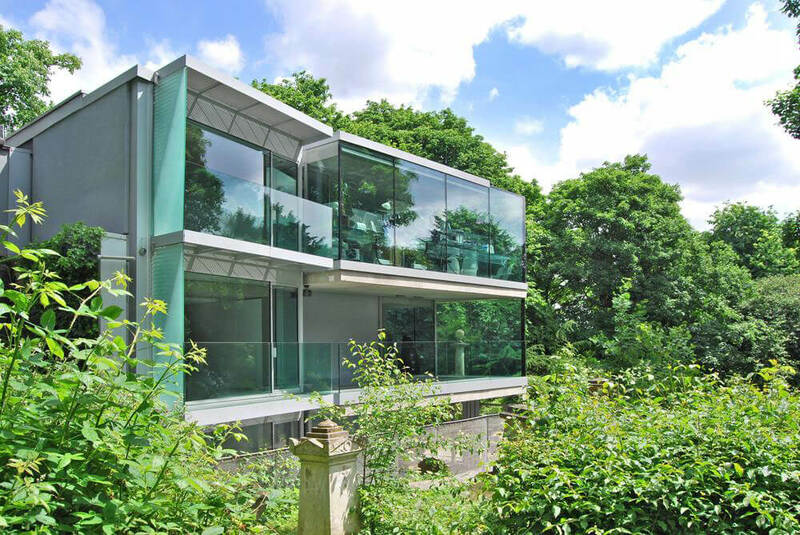 The site on Swains Lane is situated on the very edge of a historic Victorian cemetery. 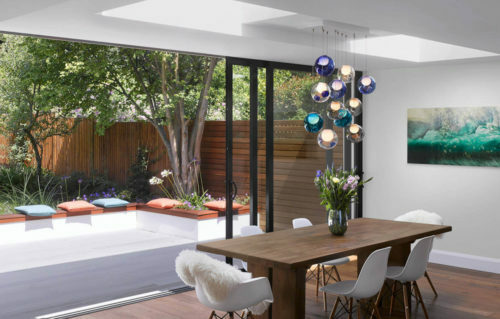 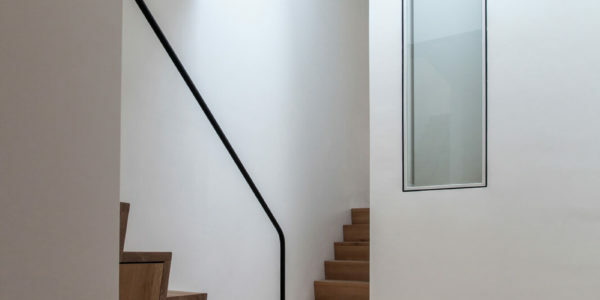 Originally occupied by an existing steel-framed house designed by the modernist John Winter, alongside a small cluster of other contemporary residences, the existing building was replaced with a modern 4 storey solution. 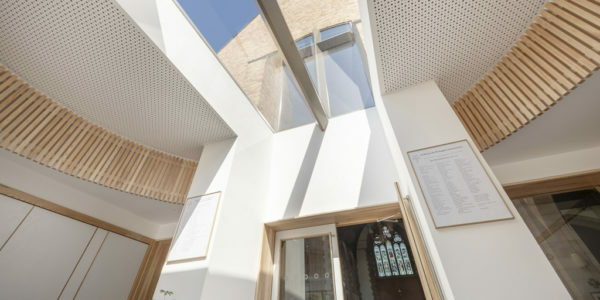 The new design featured a concrete frame and walls enshrouded by frameless structural glass, offering unparalleled views of the cemetery. 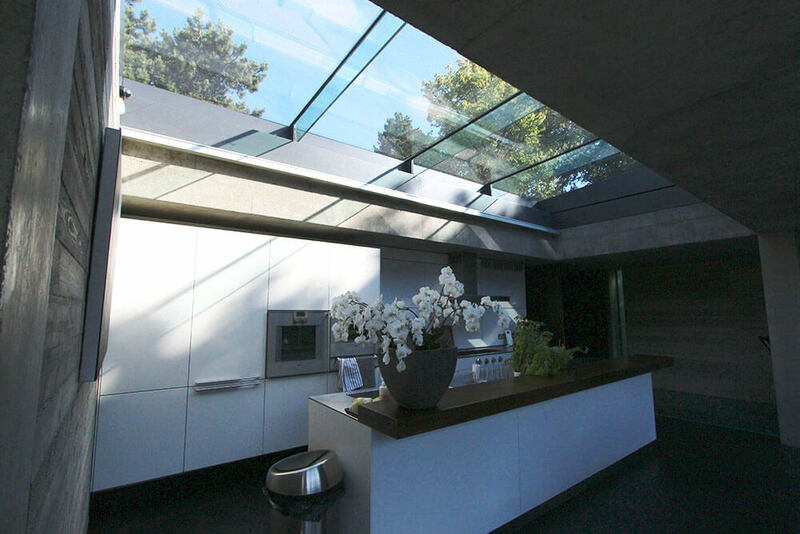 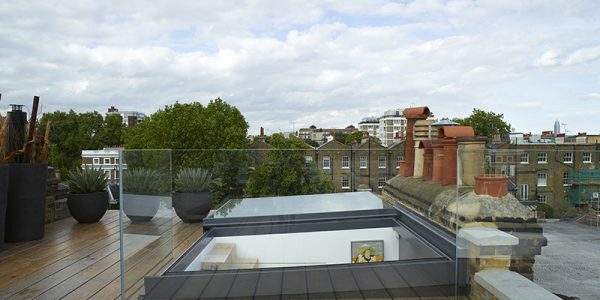 Glazing Vision Ltd supplied a bespoke sliding over roof glass rooflight (designed in-house). 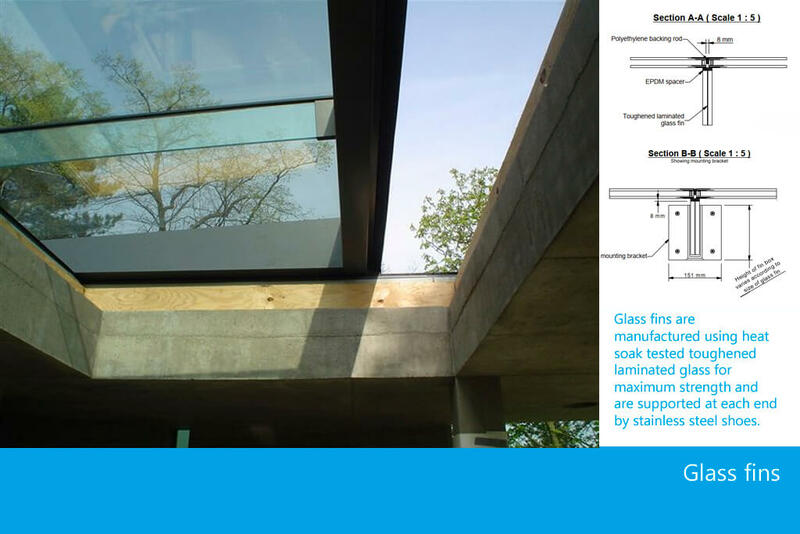 This product consists of an entire section of glazing that retracts out onto the roof space, leaving unimpeded views of the sky above. 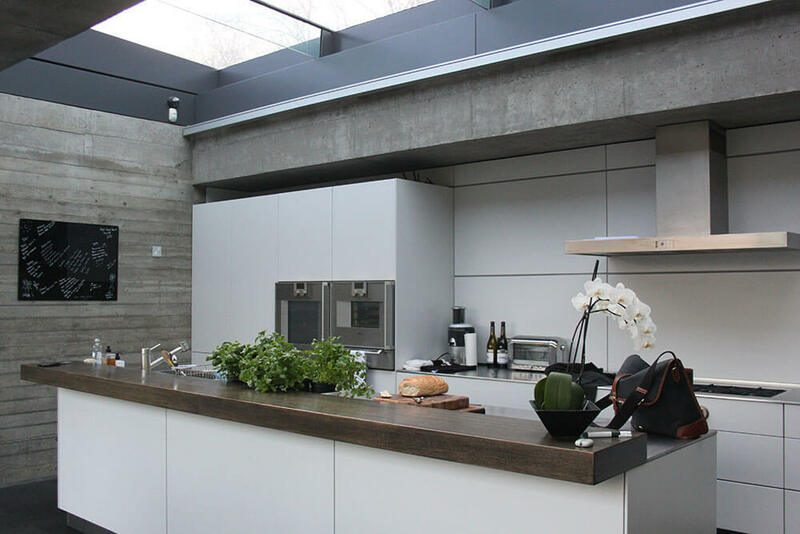 It has built-in, hidden electronic solid-state controls with battery backup, speed control and creep sealing for quiet and efficient operation, allowing the kitchen to be bathed in sunlight and air at the touch of a button. 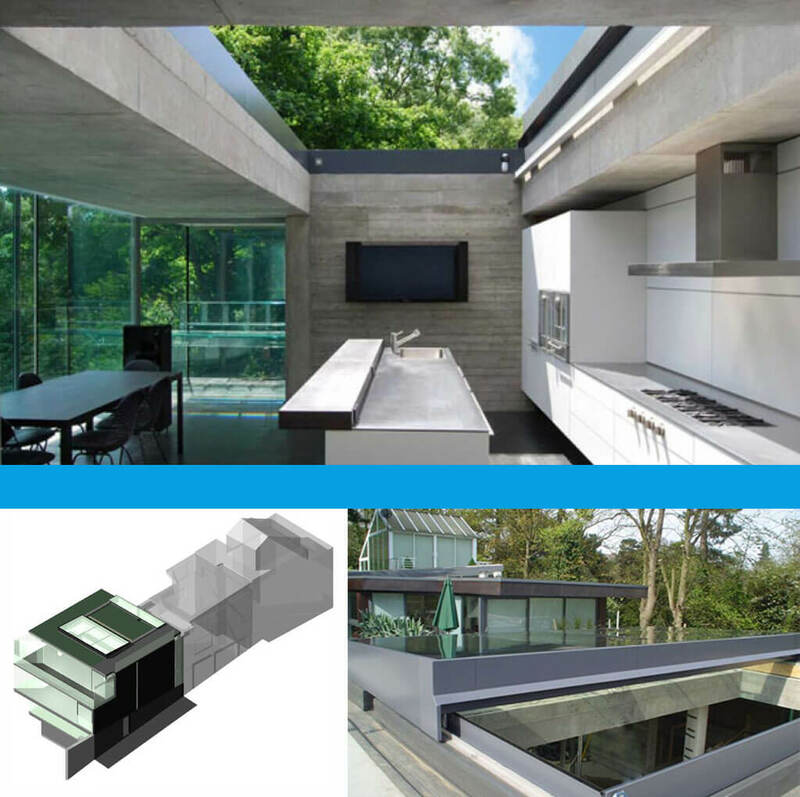 Such elements of the bespoke sliding rooflight further complement the gadget-inspired nature of the house. 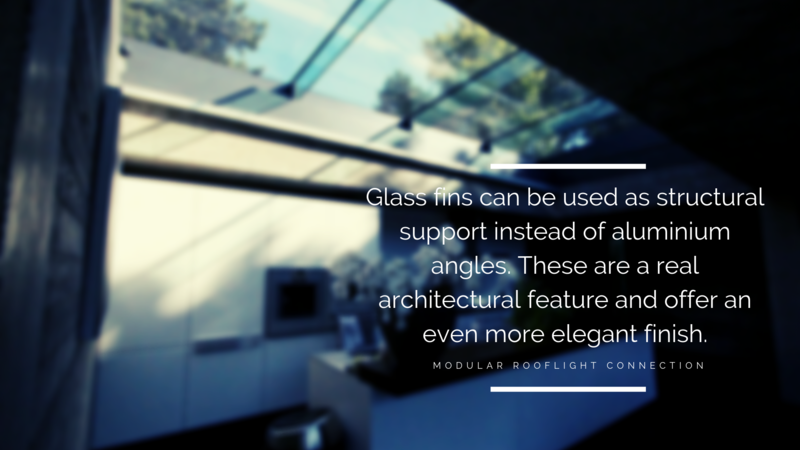 The unique dimensions of the rooflight denoted that glass sections were to be used and to ensure the Client’s “all-glass” look was maintained, glass fins were installed at the joins. 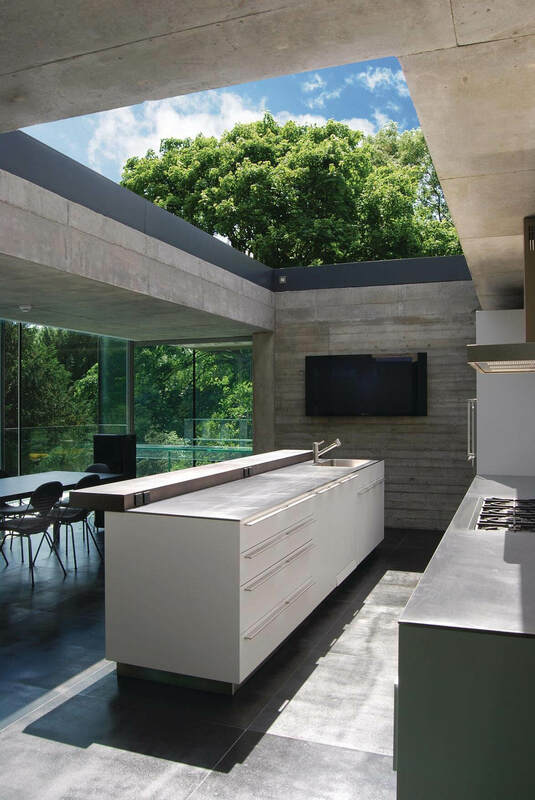 Installing the rooflight required a high level of skill and expertise from Glazing Vision; the products ability to deliver a constantly changing environment, by opening up almost the entire kitchen to the outdoors, has significantly contributed to the building’s individuality and ensured that the clients overall desired aesthetic was achieved. 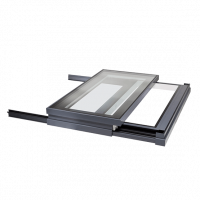 Sliding in the 3400mm dimension to create a 100% clear opening.